With racing still working off its Breeders' Cup hangover, the stakes schedule is especially light this weekend, but Churchill Downs' Grade 3, $100,000 Commonwealth Turf sticks out as a clear Saturday feature. Likewise, Horse Racing Nation's Super Screener handicapping system sees a clear win pick in the 1 1/16-mile turf test for 3-year-olds. Authored by Mike Shutty, the Super Screener analyzes key races run each weekend throughout the year. What's offered here is a small sample of the full product, which also handicaps Saturday races at Del Mar, Laurel Park and Woodbine. "This is Hot Springs’ race to lose," Shutty said. "There is no reason that given the ideal pace set up, form cycle ascension after the layoff and affinity for this turf course that this colt will not win this race." The Steve Asmussen-trained son of Uncle Mo sits at 2-1 on the morning line and drew the outside post position in the field of seven. Last time out, Hot Springs won the Sept. 29 Jefferson Cup Stakes over this track, and is 3-for-3 overall on the Churchill turf. "Even the slight cutback in distance should work in his favor, and he has a stablemate in Reride that will help ensure a fair pace attempting to prevent Marzo from getting 'loose' on the lead," Shutty said. 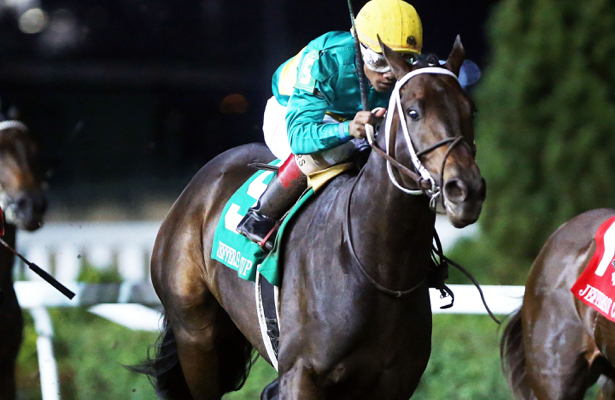 He added that Hot Springs "should have absolutely no excuses," and because of that, he's key to the Super Screener's suggested wagers for the Commonwealth Turf. 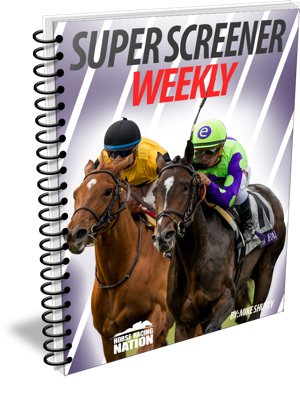 Monthly Super Screener subscriptions are available now, but a new option to opt in through the Jan. 26 Pegasus World Cup ups the savings. Get the handicapping advantage today!